The first week of Card Crawl for Android is over and we disclose first numbers and insights! For most games the launch week is the most important period in the lifetime of a game. Since Card Crawl had it’s first launch week back in March we kind of had a second one with the release on Android. We released on the 12th August almost exactly 5 Month after first launching the game on iOS. Due to a very productive Beta phase where we could iron out plenty of bugs we could launch a pretty stable version for Android. Luckily we could get the last featuring spot (#32) for the „New Games“ category on the Google Play Store. Even though it seems like a bad spot the feature helped us a lot to get people into the game. Before looking at the numbers keep in mind Card Crawl for Android is a free download with a one time in App purchase to unlock all content. There are no Ads or other monetization mechanics. 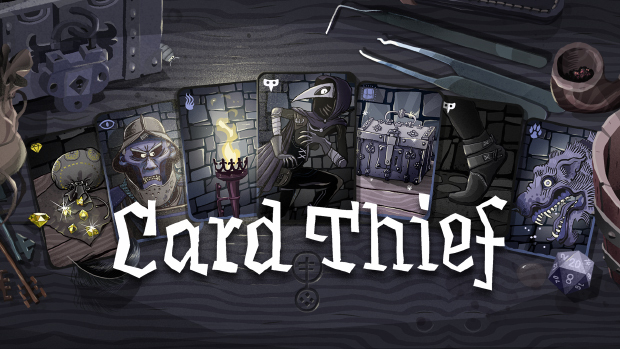 In the first week of Card Crawl for android we could get a total of 54.645 free downloads. Which is about 7500 free downloads per day. Even though we are not 100% sure we believe that most of the downloads came through the featuring spot. While about 54600 people downloaded the game we could generate €7.473 ($8415) through our $2.99 in App purchase. On average the game made about 1050€ ($1200) per day. This equals a pretty good conversion rate of %4.72. The general average of converting a free to a paying player is 2%-3%. Another interesting stat is how the Android launch pushed the iOS sales through players posting their scores and spreading the word about the game once again. 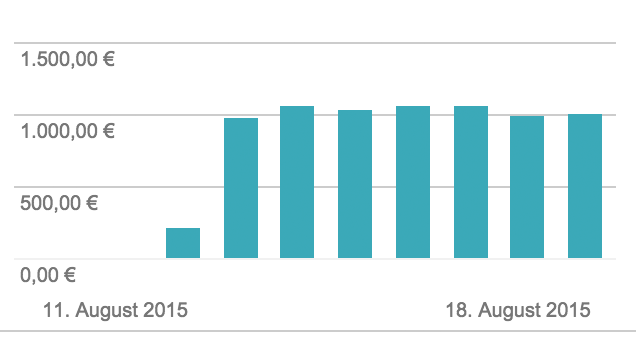 In the week from the 12th to the 19th we could generate $895 of revenue with the iOS version of Card Crawl. On the previous week from the 4th to the 11th the iOS version made $433. This is an increase of about 106% and was quite a nice side effect. The final graph (just for fun) is the comparison of the first week of Card Crawl in iOS vs. Android. A quick look at the ratings for Android show that the game is pretty well rated overall. There is a total of 3153 ratings with an average of 4.12. On Android we have quite a lot 1 stars review that are mainly people complaining about the game not beeing completetly free or the game having a massive battery drain/overheat on their device. This is something we are actively working right now. We have to see how we can optimize the game even further to maybe convert some of the bad reviews into good ones. In conclusion the Android launch week was very successful. Since we could recoup our investment on iOS already, every dollar earned with Android is a pure bonus. Due to some press and twitter buzz with the Android launch, the numbers on iOS increased significantly too. It will be interesting to see how the second week will work out since Card Crawls featuring on Google Play has ended. Thanks to everyone who has bought the game so far. We will use this extra money to further improve the game and add new content. We have some ideas for new ability cards and a new experimental mode that we will start on working very soon.